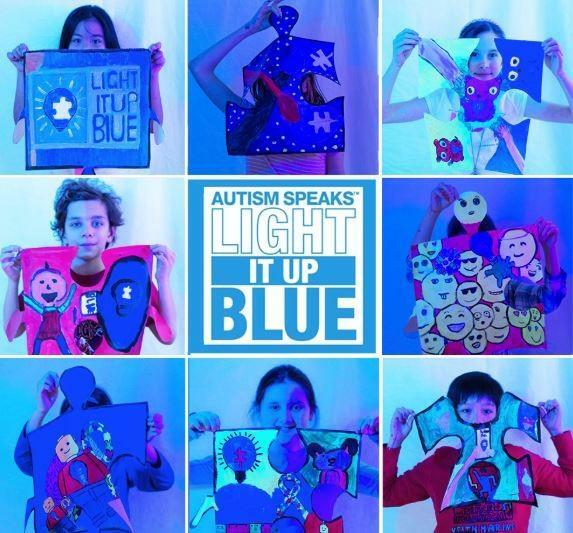 One River School of Art + Design will exhibit paintings by our students at One River School to help raise awareness for Autism Speaks and the Light it Up Blue April Initiative. The project, a large scale painted puzzle installation will be displayed. Student paintings reflect the concept of “awareness,” using this as the overarching theme for their paintings along with the iconic light bulb and puzzle piece. The event is an opportunity for the public to support the Autism Speaks mission of promoting solutions, across the spectrum and throughout the lifespan, for the needs of individuals with autism and their families. The event and artworks help increase understanding and acceptance of autism spectrum disorder along with an opportunity to contribute to the mission. One River School will raise money for Autism Speaks by accepting donations during the event, all proceeds will go to Autism Speaks and the Light it up Blue Campaign.